We have included this film in our program to illustrate the work and contributions of our star Florence La Badie. "The Evidence of the Film" (1913) is a short crime drama, significant for the fact that it depicts "film within the film" as a method of proving innocence and guilt. Florence La Badie is a worker in a film editing lab, and her little brother is a messenger boy, who delivers mail to and from a brokerage house. One of the brokers receives a letter from a client demanding that he return to her right away her bonds in the amount of $20,000. The dishonest broker hatches a scheme to keep the money, and frames the little boy for allegedly stealing the bonds. The boy is taken to jail, and Florence La Badie is left heartbroken. Luckily, a few days later during a routine editing work Florence La Badie discovers evidence exonerating her brother. The forensic experts agree and the little messenger is set free. Florence La Badie talks to her little brother the messenger boy (Marie Eline) in "The Evidence of the Film" (1913). 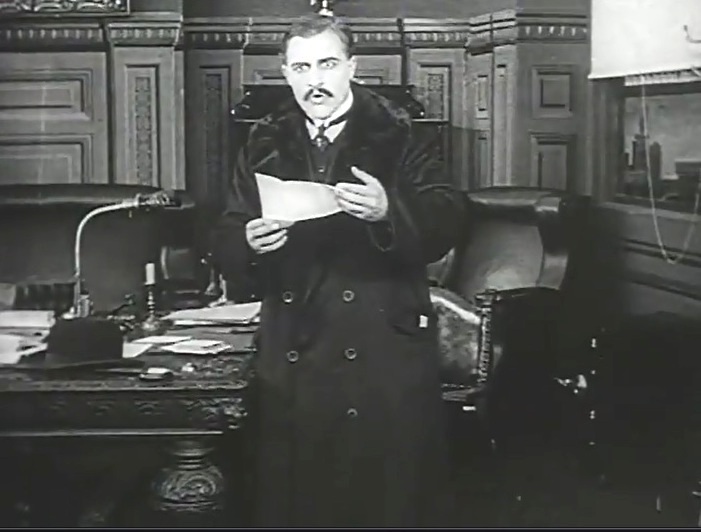 The broker (William Garwood) must return $20,000 right away in "The Evidence of the Film" (1913). 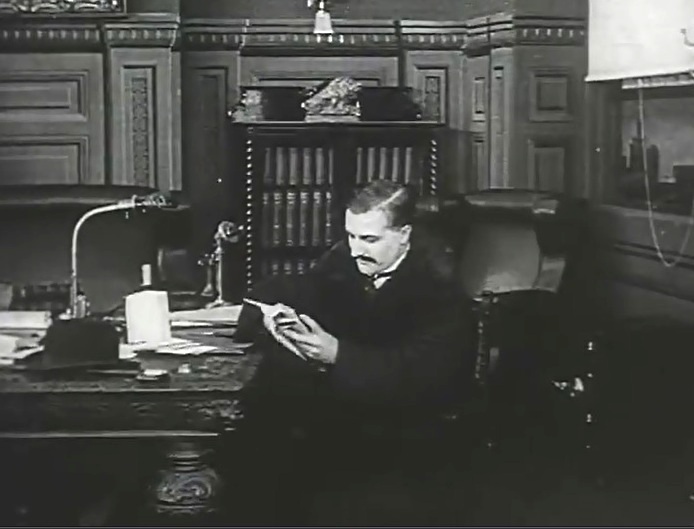 William Garwood prepares a dummy package in "The Evidence of the Film" (1913). William Garwood puts the bonds in an envelope in "The Evidence of the Film" (1913). 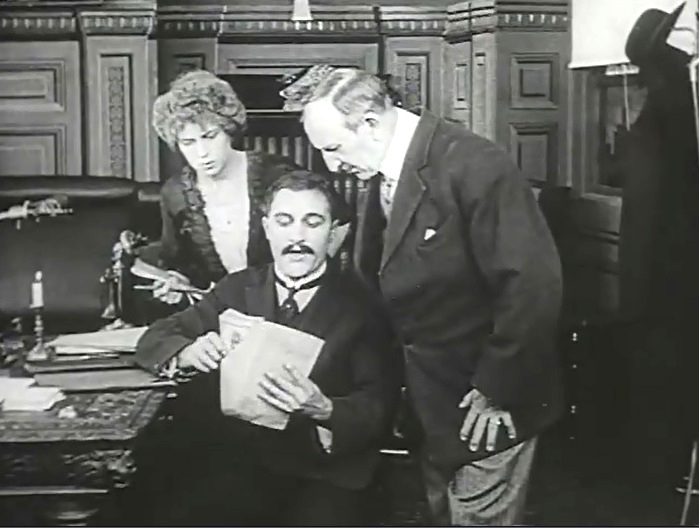 William Garwood instructs his worker to deliver the package in "The Evidence of the Film" (1913). 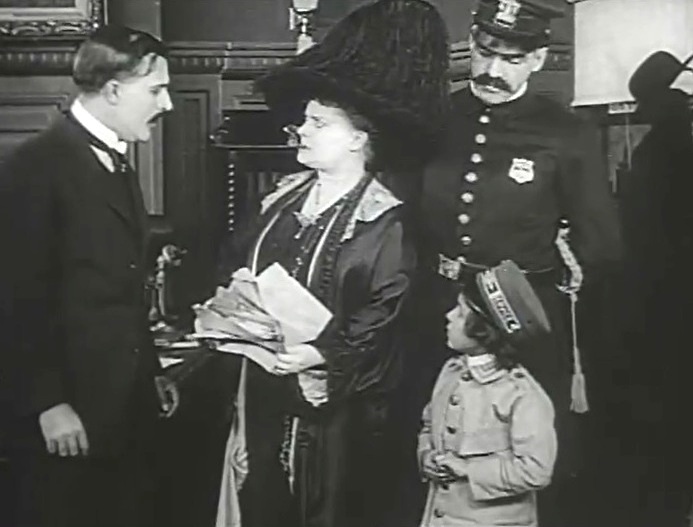 Marie Eline takes the package with the bonds in "The Evidence of the Film" (1913). William Garwood follows Marie Eline in "The Evidence of the Film" (1913). 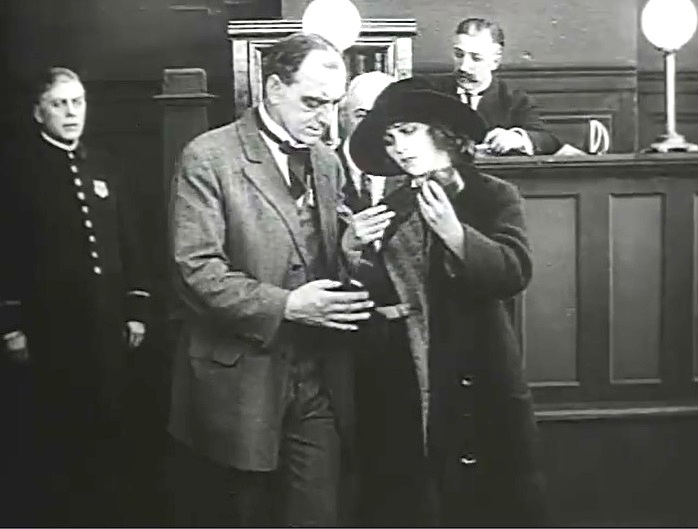 The client finds no bonds in the envelope and Marie Eline faces a policeman in "The Evidence of the Film" (1913). 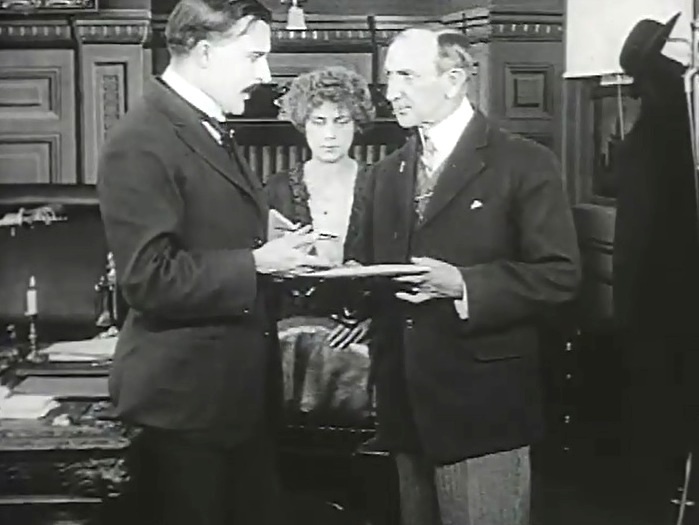 The client confronts William Garwood in "The Evidence of the Film" (1913). 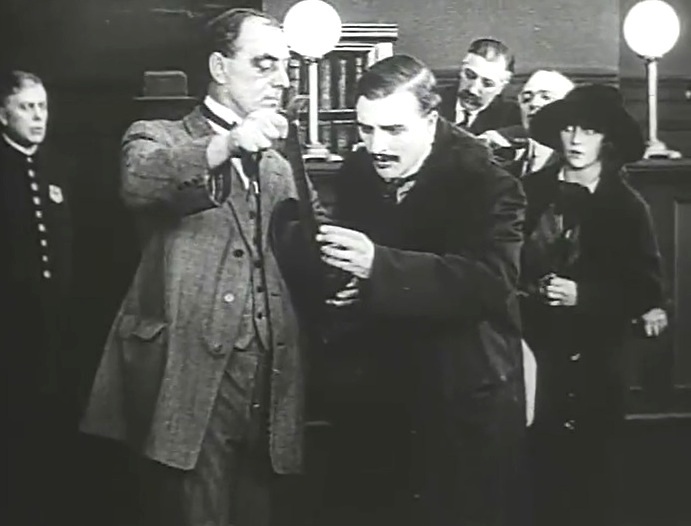 William Garwood is helped by his witnesses in "The Evidence of the Film" (1913). Florence La Badie gets a call from her little brother in "The Evidence of the Film" (1913). Florence La Badie is worried about her brother in "The Evidence of the Film" (1913). 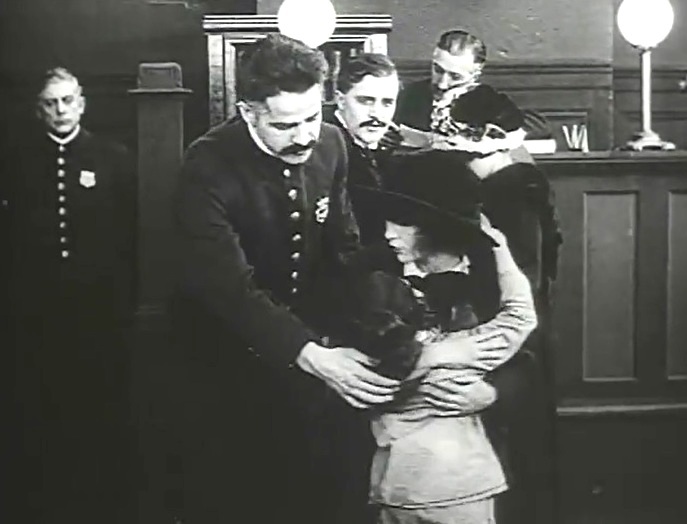 Marie Eline is taken to jail in "The Evidence of the Film" (1913). Florence La Badie is heartbroken in "The Evidence of the Film" (1913). Florence La Badie finds new evidence in "The Evidence of the Film" (1913). 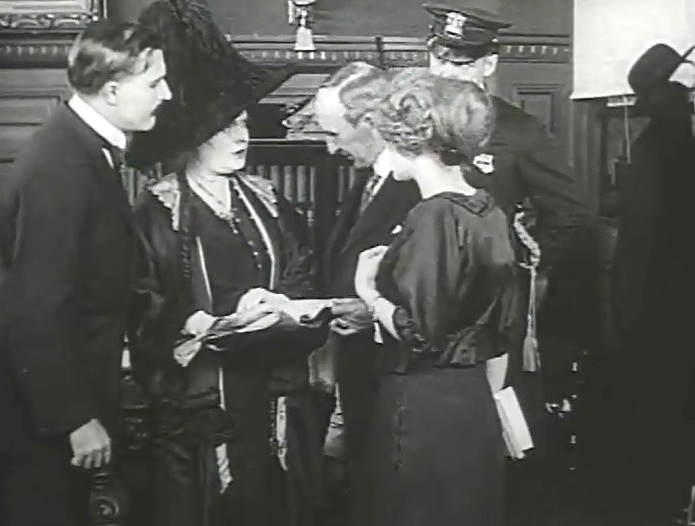 Florence La Badie shows the evidence to experts in "The Evidence of the Film" (1913). 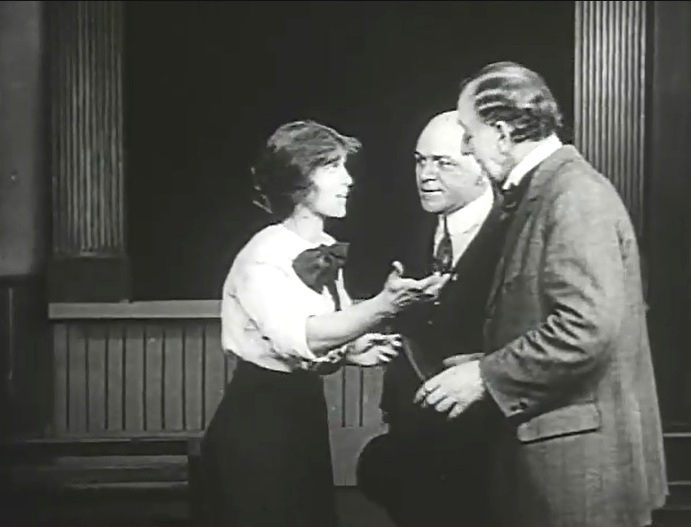 Florence La Badie talks to forensic experts in "The Evidence of the Film" (1913). Florence La Badie and Marie Eline reunite in "The Evidence of the Film" (1913). William Garwood looks at the evidence in "The Evidence of the Film" (1913). 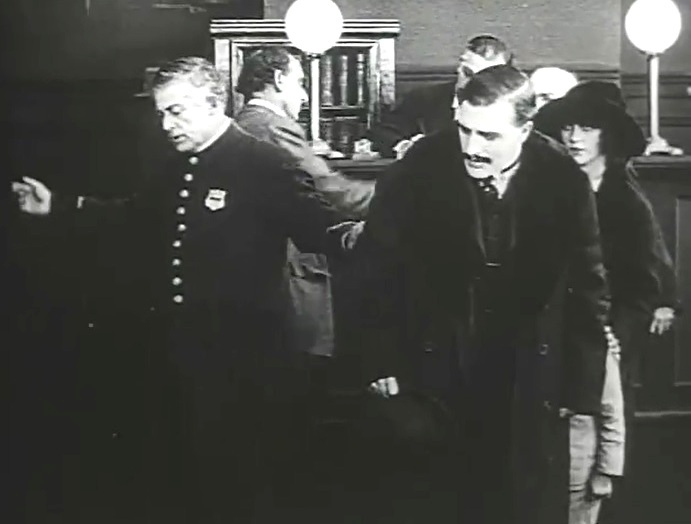 William Garwood is arrested in "The Evidence of the Film" (1913).